Many online sellers already receive around 20-30% of their traffic from international sources. However, what they often find is that this traffic converts at a much lower conversion rate than their domestic traffic. So why is the conversion rate lower, even if the website has been properly translated? Very often many of the components of localization, beyond translation alone, may not have been optimized. These can be, for instance, payment methods, international shipping or currency and size conversion. And in fact, offering a fully localized buying experience to your key international markets is the key to skyrocketing your sales. 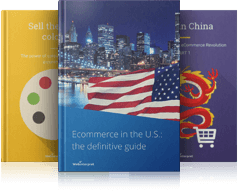 Webinterpret, a leading international ecommerce solutions provider, knows well how to localize in a way that sells. In this section we will give you many tips on how to maximize your conversion rates for your international as well as domestic markets.